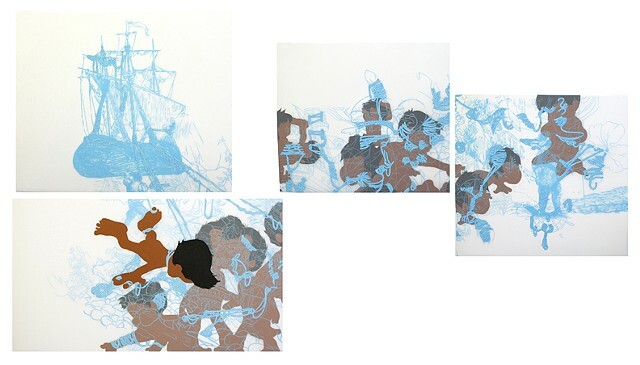 Non-photo blue and screen printing ink on Mylar, 4 parts. My tools draw from traditional animation techniques. In many of my drawings I use non- photo blue pencil. Its original purpose was to allow the animator to rough out a gesture to be filmed before finalizing the image with pencil or ink. I'm interested how, in animation, the blue is never meant to be seen.